As some of the most popular acoustics in the world, we have absolutely no doubt that you're all well aware of Martin's rich legacy and history. Favoured by some of the most iconic players to have ever graced a stage, their brand is synonymous with quality, along with distinctive, sought after sounds and models. We make no secret of how much we love Martin's superbly crafted instruments and always make sure that our stores are stocked with their latest and greatest guitars, all available for you to pick up and play. 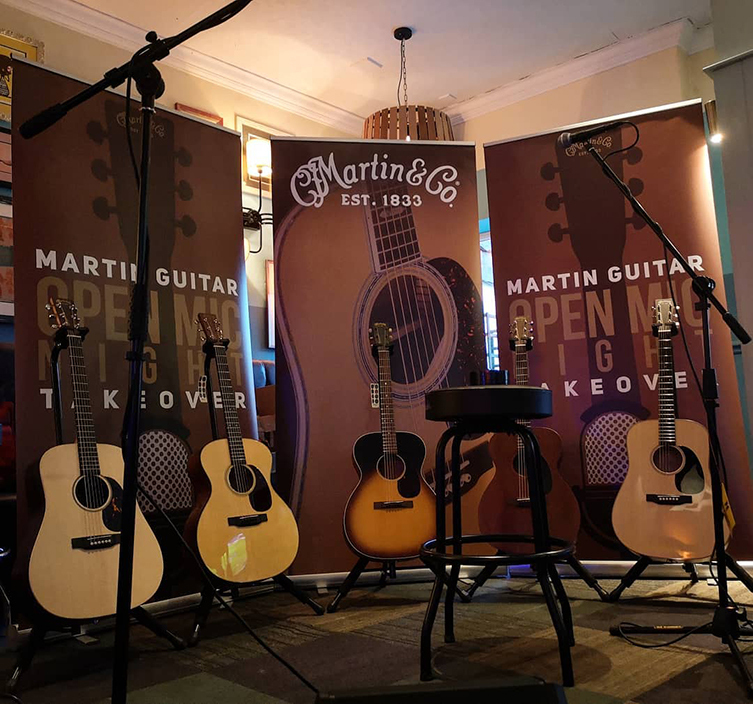 On the 24th of April (24/04/19, 7:30PM) our Edinburgh store's Open Mic Night is back at the Mercat Bar and this time the guys have partnered up with Martin Guitar! That's right, our favourite showcase of local music has teamed up with one of the finest guitar manufacturers on the market and the result is going to sound seriously sweet. We'll be joined by Martin experts Greig Dunning and Tommy McGinley, along with a selection of their favourite models which we'd encourage you to try out and get a feel for. It's not often you get the opportunity to demo a brand new guitar in a live environment, so if you've been thinking about upgrading your acoustic, we'd thoroughly recommend signing up! With free Martin goodies for everyone who plays and a laid back, friendly atmosphere where you can jam and hang out with like-minded musicians, this is a fantastic opportunity to play some music and get a feel for some new gear while you're at it. All performers are welcome to bring their own instruments along but if you fancy trying something different, Greig and Tommy will be armed with a selection of their favourite Martin acoustics for you to perform with!